Jefferson Lab was one of 10 exhibitors at Canon’s External Technology Share event on February 22. More than 130 participants, including Canon’s President/CEO and leadership team, attended. 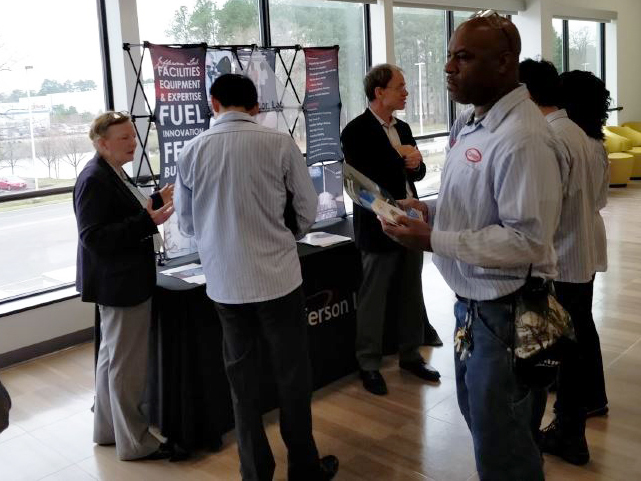 NEWPORT NEWS, VA – When Canon Virginia (CVI) was putting together its External Technology Share event, it seemed natural to include neighbor, Jefferson Lab. 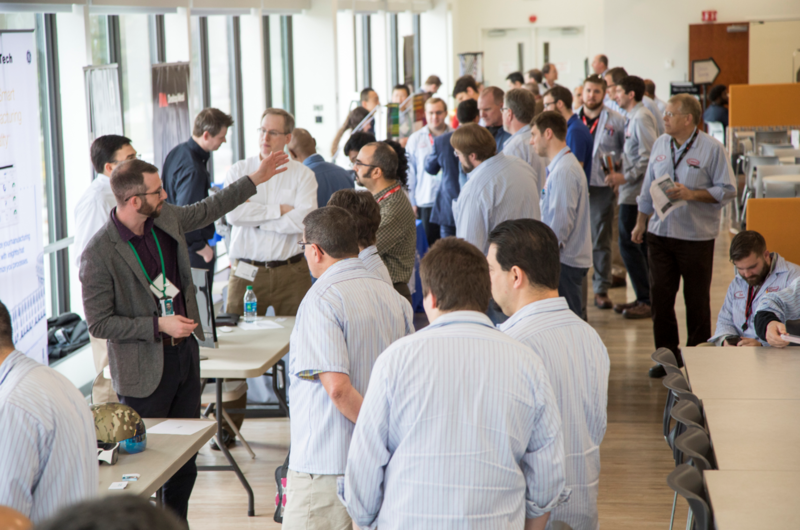 On February 22, Jefferson Lab joined nine other companies and organizations invited to interact with CVI’s workers, engineers and leadership. The event was scheduled as part of Canon Virginia’s Engineering Week activities. While this was the first time CVI included an External Technology Share event, lead organizer Tylan Nelson said that the feedback from the event was so positive that CVI plans to include it every year now. “We estimate that around 130 engineers, leaders, and other members attended,” Nelson said. ”And nearly all of our VP's and our President were in attendance. “The intent in hosting the event was to educate our employees about some of the new technologies that are available, get them excited about the potential use of them in their processes, and hopefully expand and develop professional relationships between our companies,” Nelson added.